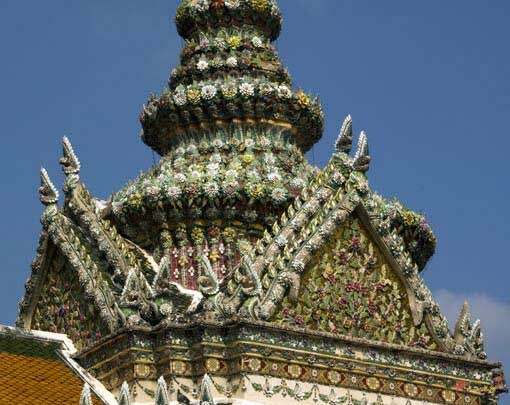 The Viharn, decorated with tiles and porcelain, is situated next to Hor Phra Naga. 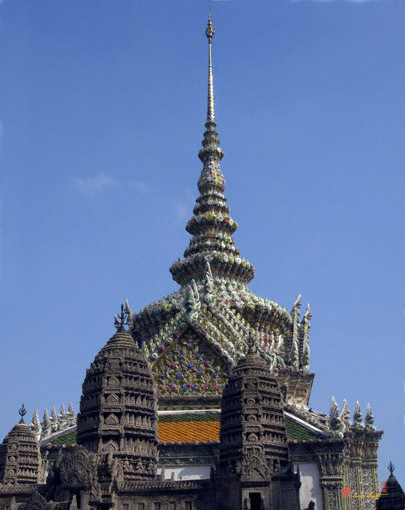 (A Viharn is the part of a Thai temple complex used to house various Buddha images.) 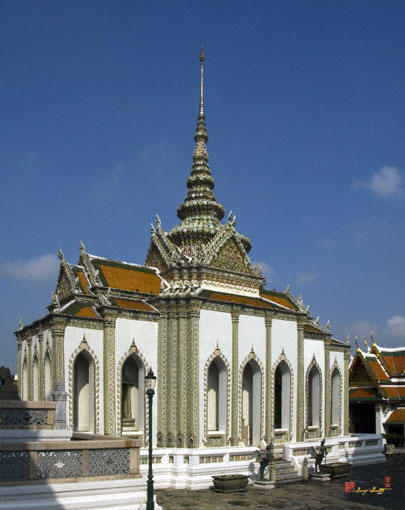 Formerly Phra Viharn Yod housed a silver Buddha image which was cast by King Rama I from various religious deities previously belonging to King U-Thong, founder of Ayutthaya in 1351. 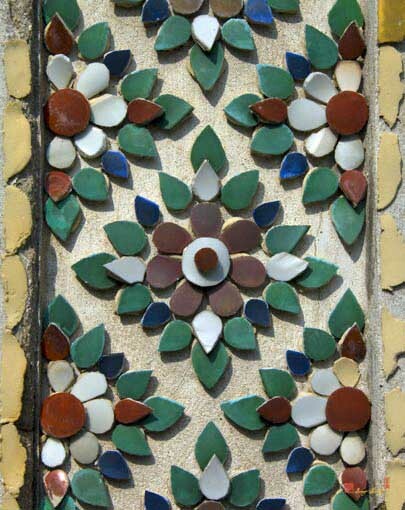 These had been destroyed by the Burmese in the first sack of the capital in 1753.